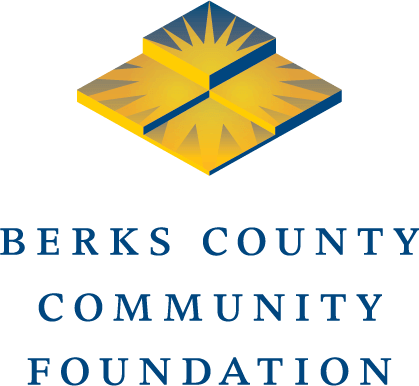 December 20, 2017 — Last year, BB&T Bank made a $2.5 million gift to create the BB&T Economic Growth Fund at Berks County Community Foundation. The gift came to us on the day of BB&T’s merger with National Penn Bank. It was an extraordinary act of corporate generosity and a strong sign of commitment to our community. Scott Fainor, BB&T’s Group Executive for our region, made it clear that he wanted the money to be distributed where it would have a real impact on the economy of our county. It was an interesting challenge. Prior to being renamed National Penn Bank in the early 1990s, the bank was known as The National Bank of Boyertown. It really was Boyertown’s dominant business. As the bank grew, it came to occupy all kinds of buildings (including a former laundromat) scattered around the borough, many of which were closed after the merger. Boyertown residents pride themselves on their civic spirit and have long been working to establish a number of new amenities, including the revitalized State Theater, the Colebrookdale Railroad and a wonderful local library. Much of that activity is supported by Building a Better Boyertown, the borough’s designated Main Street Manager. Sensing the opportunity to make an impact, Scott and the other members of his committee challenged Building a Better Boyertown to think more comprehensively and strategically about the town’s future. A grant from the fund fueled a nearly yearlong planning process involving input from a wide variety of interested citizens and groups. The resulting plan lays out a variety of initiatives to make downtown Boyertown more pedestrian-friendly; to attract new shops, restaurants and businesses; and to create a renewed focus on tourism promotion. If that’s all that BB&T did with the fund it established, it would have been an amazing gift to the people of Boyertown. It’s rare when a community is given an opportunity to engage its residents, business and political leaders, and outside experts to really think about its future. Last week, a large group of those citizens and leaders gathered in the offices of Building a Better Boyertown to hear Scott announce that an additional $1 million would be given to projects in the Boyertown Area from the fund. And that’s not all. Scott also committed an additional $500,000 from the fund as a challenge match. So, assuming (as I do) that the energetic community leadership finds a way to raise the $500,000, a total of $2 million will be injected into tourism promotion, business development and the redevelopment of the Colebrookdale Railroad’s railyard. This is the kind of gift that can transform a community. All of us at Berks County Community Foundation have been proud to work with Scott and his team at BB&T. As we bring 2017 to an end, it’s a real pleasure to be reminded that there are still corporations that care about the communities they serve. Lyn Camella-Rich, a board member at Berks County Community Foundation and a co-chair of the Boyertown Vision & Action Plan effort, talks about the impact that a donation from BB&T will have on the borough. Behind her, from left to right, are David Roland, Market President, Berks County/Northern Montgomery County at BB&T; BB&T Community Banking Group Executive Scott V. Fainor; and Jake Lea, co-chair of the Vision & Action Plan project.